MaryEllen represents clients in Estate and Wealth Transfer Planning, including estate and trust planning and administration; probate, estate and trust litigation and individual and fiduciary taxation. She has an AV Peer Rating from Martindale-Hubbell and was selected by Martindale-Hubbell for the inaugural Bar Register of Preeminent Women Lawyers in 2011. MaryEllen is a Fellow of the American College of Trust and Estate Counsel (ACTEC) and a Board Certified Indiana Trust and Estate Lawyer by the Trust and Estate Specialty Board. She is Vice Chair of the Board of Trustees for Indiana University. MaryEllen serves as Co-Chair of ICLEF's Midwest Estate, Tax and Business Planning Institute. She served two terms on the Indiana Probate Code Study Commission under the appointment of Governors Frank O'Bannon and Joseph Kernan. MaryEllen is a Master Fellow of the Indiana Bar Foundation and a Distinguished Fellow of the Indianapolis Bar Foundation. She is Co-chair of the Midwest Estate, Tax and Business Planning Institute. 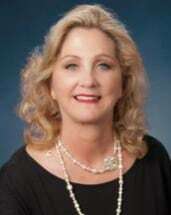 MaryEllen is an Indiana Super Lawyer 2004-present; listed in Best Lawyers for Estate Planning and Estate and Trust Litigation 2006-present; a Five Star Wealth Manager awardee for client satisfaction 2009-present; and was honored by Ball State University with an Indiana Woman of Achievement Award in 2011. MaryEllen received her juris doctorate from the Indiana University Robert H. McKinney School of Law in 1982. She earned her bachelor of science from the Indiana University Kelley School of Business in 1979. MaryEllen is admitted to practice before the Indiana Supreme Court, United States District Court, Southern and Northern Districts of Indiana, United States Tax Court and the United States Supreme Court. She is a member of the Indianapolis Bar Association, Indiana State Bar Association and the Estate Planning Council of Indianapolis.